Write Your Own Memories Before They are Forgotten! It's important as genealogists that we not forget about writing our own story. 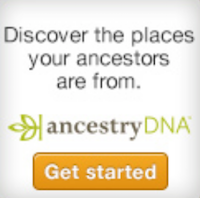 Yes, we all want to find information on our ancestors and once we find it, most of us will put it in booklet form to share with other family members. But what about our own memories? We may think writing about ourselves is boring or egotistical but stop and think how excited you would be if you found a journal or memoirs that your great great grandmother kept! I began my Life Story a few years ago. I started with my first memory and tried to keep my journal chronological. It was a matter of writing down my memories of each year of my life - or so I thought! That soon proved to be very difficult. I got confused - had I written about my mother falling on the ice her first time skating? Or my father dressing up as Santa then giving out the wrong presents? I simply could not recall what I had already written and what was a memory that had just surfaced. So after months of mulling this over I decided on a new method of writing my own life story. This new method would keep me on track, and will help get rid of confusion - did I or didn't I already talk about an event. I'll decided to write my journal using various topics as a guideline. Topics such as "My first Christmas memory" "Family vacation" "Favorite Relative"
My goal was to write about my memories of the past - memories of my family (parents, grandparents, aunts, uncles and siblings), memories of special events, stories told by my parents or grandparents, my time at school, as a child, a teenager, an adult, newly married - in short it would be my life story but broken into events (topics) rather than chronological. Using topics became so easy! I didn't have to worry about going year by year through my life, and forgetting what I'd already written! * Combine facts (where you went to school, names of teachers, where you lived) as well as emotions - happy and sad. Remember these are your memories so it's up to you to decide what you want to share. But don't overlook the sad moments too. 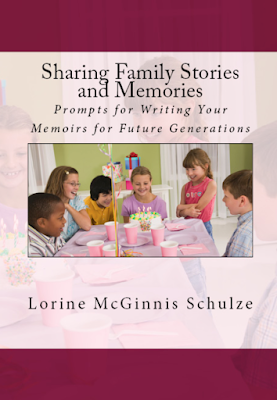 * Stay focused on the topic but jot down other memories that pop into your head as you are writing. 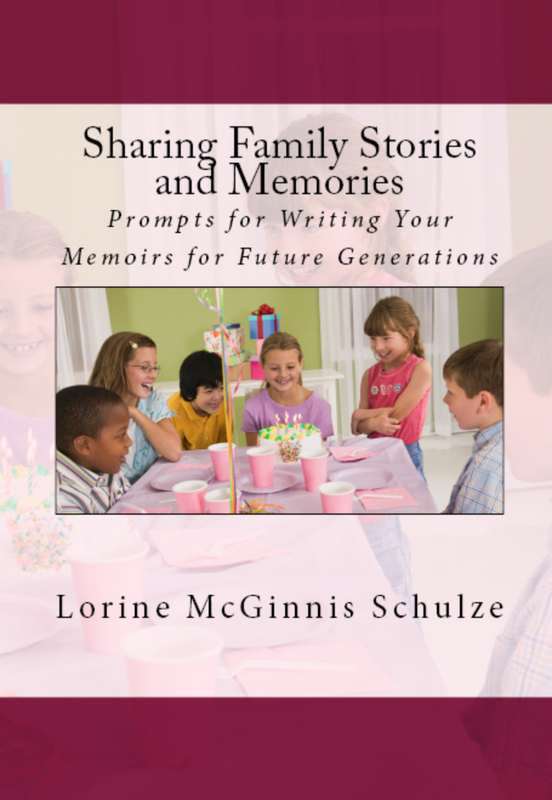 You will be amazed at what memories surface as you are putting your thoughts down on paper. You can add those jot notes later when we get to a topic that fits. * Don't type your memories - writing them by hand gives your descendants a sense of YOU - your style, your emotions. Handwriting is a reflection of our personality. * choose a daily time period to write. If you can get in the habit of writing at the same time each day, you will find your journal writing flows more easily. Write early morning with your cup of tea or coffee. Write just as you are going bed or after supper when the children have gone to bed. Whatever is a good quiet time for you. I try to set aside 30 minutes each day. I don't always write for that 30 minutes, sometimes all I manage is 5 or 10! But that's okay. I've been wanting to do more of this! I journal about current goings on but sometimes I like to go back and talk about memories that come up. This is a great method!